Peter Elliott Architecture and Urban Design and TCL (Taylor Cullity Lethlean) have delivered a much-needed extension to Victoria’s historic Parliament House that sensitively integrates contemporary architecture into a magnificent heritage garden setting. Victoria’s Parliament House, designed by architect Peter Kerr in the mid-19th century, was never fully realised. In fact, the building’s Spring Street façade is the only elevation that remains true to the original grand vision. 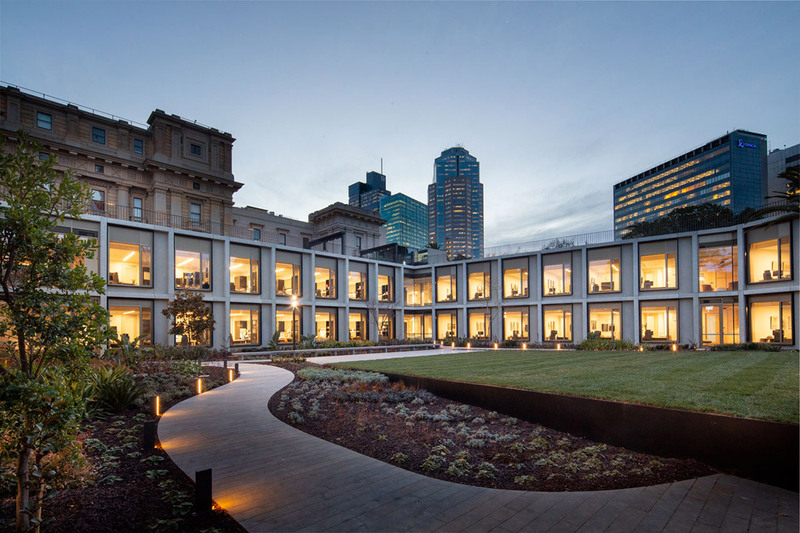 After a century and a half of makeshift and inadequate member’s offices, the $40-million extension by Peter Elliott Architecture and Urban Design and TCL was officially opened by the Governor of Victoria on Wednesday 8 August. 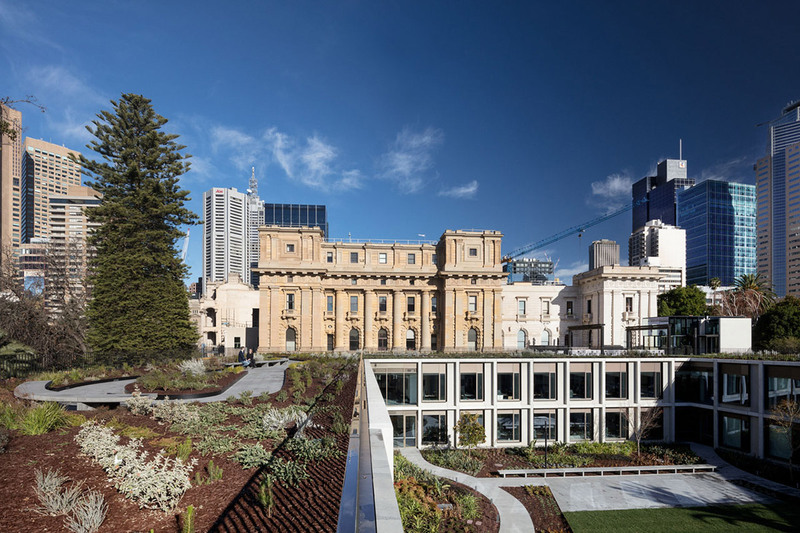 The project, managed by the Department of Parliamentary Services, solves a long-standing accommodation problem while providing a striking new foreground to one of Victoria’s most important civic buildings. 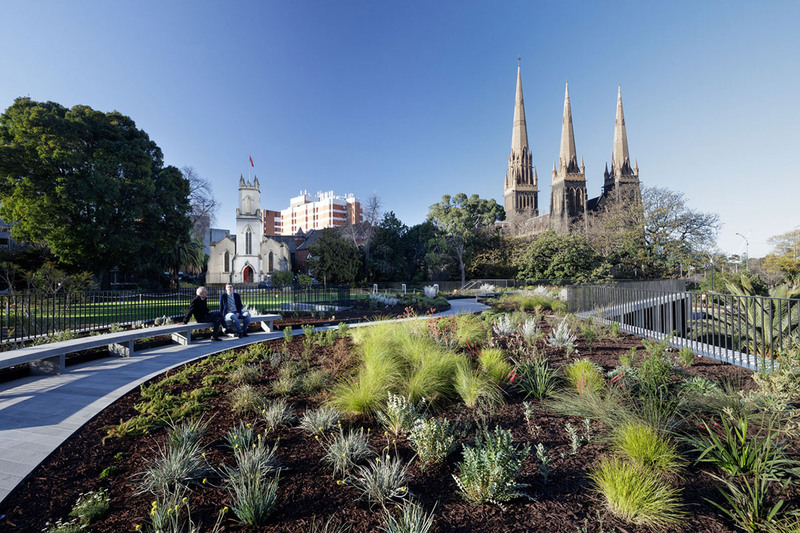 Arranged to protect established trees, maintain valued views, and be subsumed within a grand landscape, the new pincer-shaped extension is largely sunken below ground with 100% of its footprint accommodating new accessible garden spaces, creating one of the largest green roofs in Melbourne’s CBD. 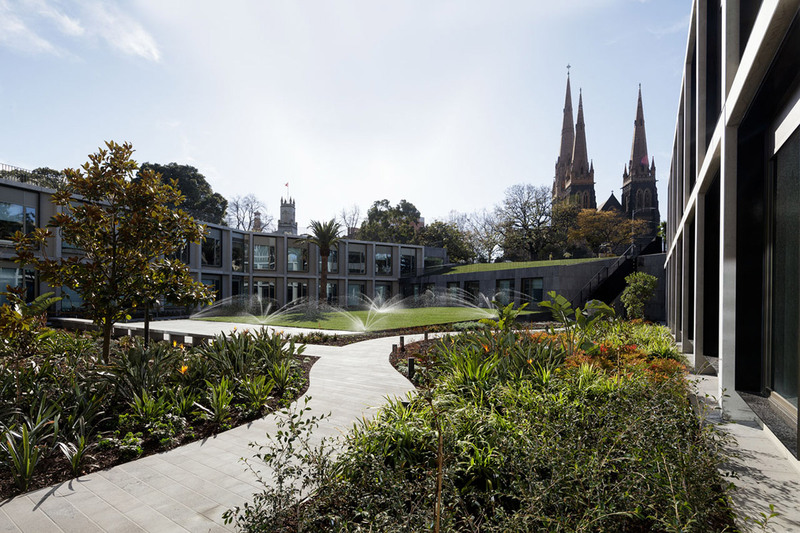 The garden surrounding Victoria’s Parliament House also has a long and rich history. 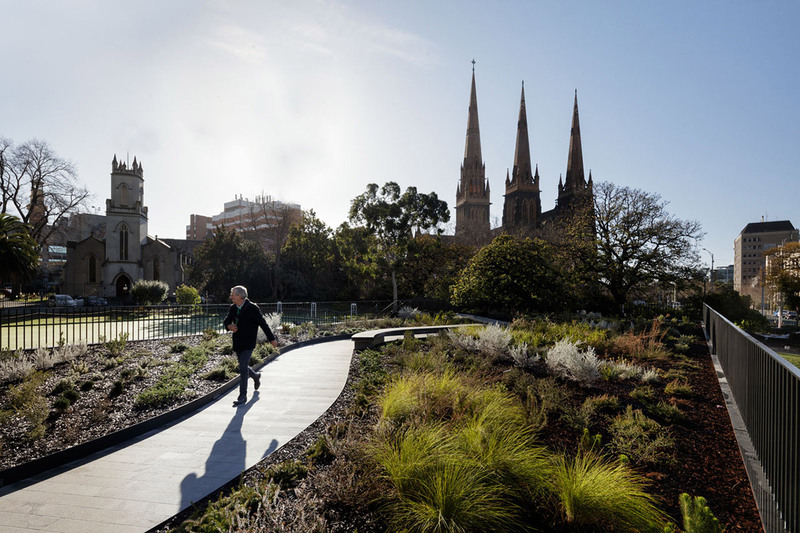 First established in 1856, the same year that the parliament of the then-fledgling state of Victoria opened, it saw some early changes in style, but the enduring design is believed to be the work of William Guilfoyle – the designer of the Royal Botanic Gardens, Melbourne. 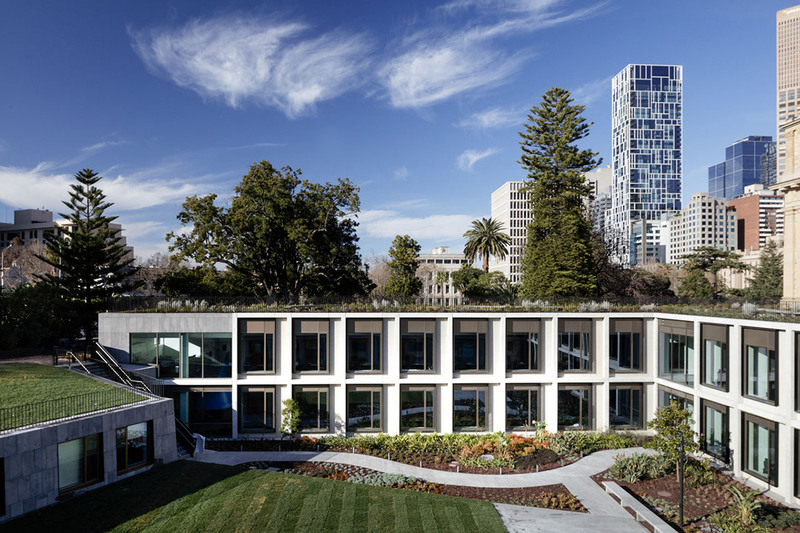 “The landscape design approach was to soften the edges of the new building and create a dynamic garden threshold between the new and the old,” explains TCL Director Perry Lethlean. 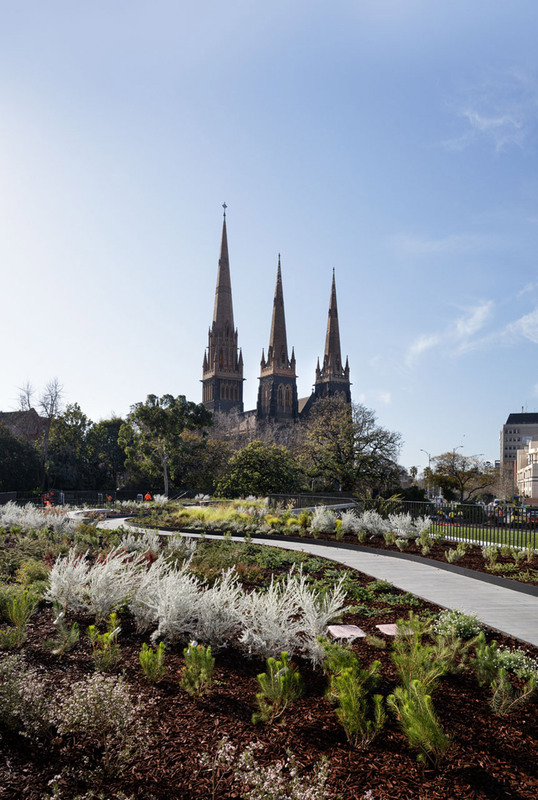 The 19th century Picturesque garden – which is considered one of the finest in the state – has been complemented with heritage planting but also juxtaposed with more contemporary garden expressions. A sunken courtyard takes a cloistered form and provides a new social setting for parliamentarians and lets natural light flood into the new building. This space references the existing garden, using its emblematic planting to create compositions of overlapping textures. 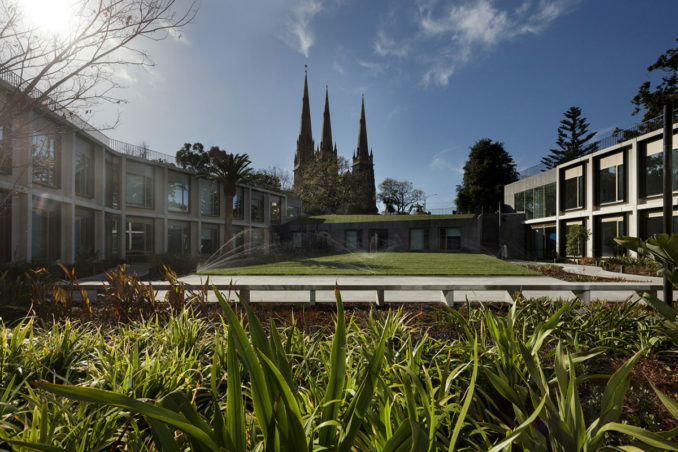 More than 12,000 plants frame a central sloping lawn and terrace that can be used for events and announcements. 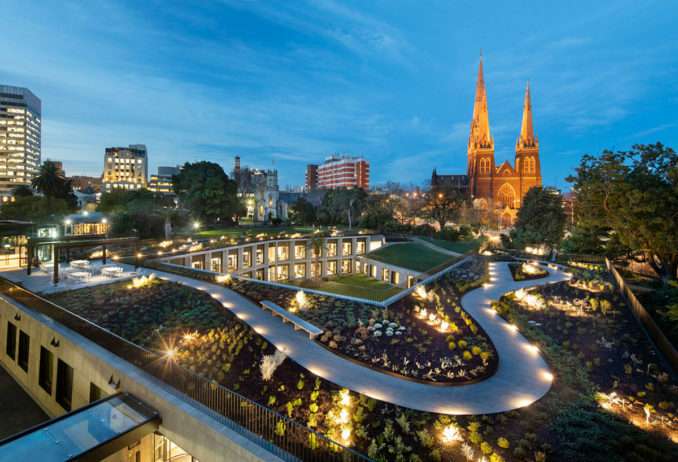 By contrast, the roof garden atop of the new building introduces an Australian meadow (designed with Paul Thompson) to emphatically place this contemporary building in its broader loci. 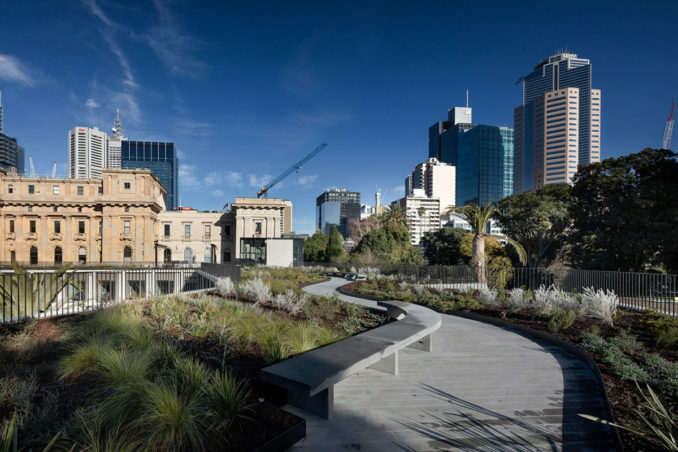 Structured via drifts of silver Eremophila nivea and Eremophila glabra, the roof garden features a serpentine bluestone path that weaves through a rich mosaic of native shrubs, grasses and wildflowers, providing a powerful new setting to the remarkable ensemble of 19th century buildings. 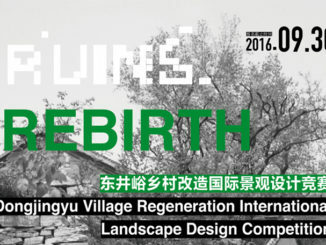 It also illustrates the beauty and importance of indigenous landscapes, which are seldom celebrated in the garden designs of significant public buildings. 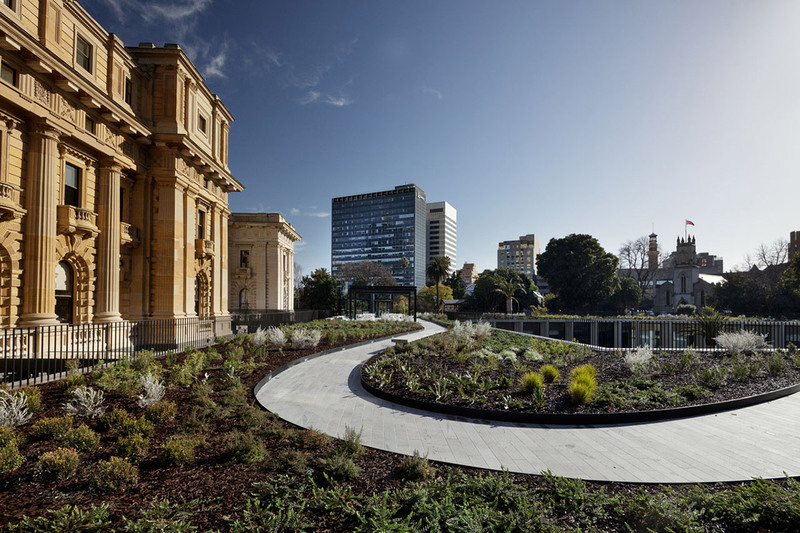 The new gardens will encourage greater biodiversity within the dense urban context, provide excellent thermal insulation to the new building and create iconic spaces for events, announcements and contemplation.